The MFA in dance program will be the first-of-its-kind in the state. TUSCALOOSA, Ala. — The University of Alabama’s department of theatre and dance will offer the state’s first Master of Fine Arts in dance program starting in fall 2020. 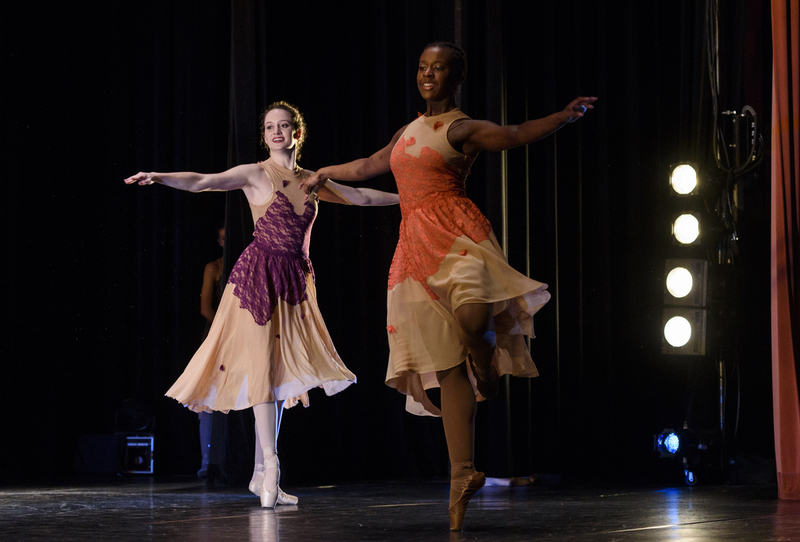 The program, which will use the 2019-20 academic year to recruit and audition prospective students, will provide training in advanced studies in dance, prepare graduates for employment in the dance profession, and provide credentials needed for employment and teaching positions that require a graduate-level degree. The push for the program started with growth in the dance program’s talent, enrollment, national reputation and students’ curiosity in the breadth of the dance field, said Sarah M. Barry, UA associate professor of dance. At the same time, the College was looking to expand its number of graduate programs to support UA’s strategic plan. The graduate program will support the development of diverse skills in classical and contemporary dance techniques, dance pedagogy, historical perspectives and critical theory, as well as technical and artistic integration of dance-specific technologies. The program will allow students to select their own creative research tracks. Examples of creative research include performance studies, choreography, scholarship, and technology and film. Unlike some universities that offer a two-year MFA program with a distance learning component, UA’s will follow a traditional three-year model with learning opportunities provided on campus and in the community. For more information on the MFA in dance, contact Sarah M. Barry at smbarry@ua.edu. Public Accounting Report’s 2017 rankings place UA’s Culverhouse School of Accountancy’s undergraduate program seventh overall and first for a program with a faculty size between 17 and 23 as well as first in the South. The master’s programs are ranked ninth overall, and the doctoral program is ranked seventh.